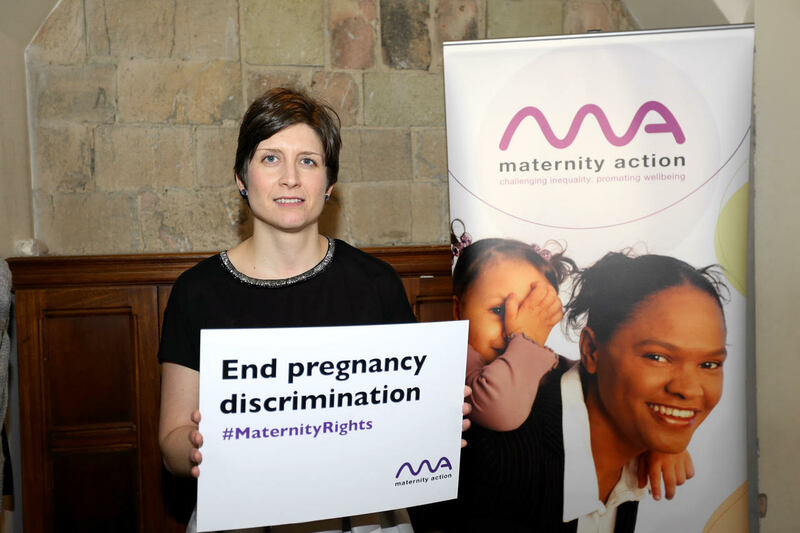 Alison Thewliss MP has called for an end to pregnancy discrimination in the workplace, backing a campaign led by the charity Maternity Action. This week Maternity Action released three videos to empower pregnant women to address pregnancy discrimination in the workplace. Pregnancy discrimination has risen dramatically in the past decade and now affects three quarters of pregnant women and new mothers at work. Research by the Equality and Human Rights Commission has found that 20,000 women each year leave their jobs because of health and safety concerns and 53,000 are discouraged from attending antenatal appointments. A total of 54,000 each year are forced out of work because of unfair and unlawful treatment because of their pregnancy. Ms Thewliss hosted an event in Westminster on Tuesday 17th January to coincide with the launch of the three videos and took part in a panel discussion with Sarah Champion, Labour MP and Shadow Minister for Women and Equalities, Maria Miller, Conservative MP and Chair of the Women and Equalities Select Committee, Ros Bragg, Chair of Maternity Action, and representatives of the trade union Usdaw. “I am delighted to host Maternity Action in Westminster and promote the three new videos to support pregnant women who encounter problems at work. The videos help women to raise concerns with their employer and resolve issues as early as possible and I hope they will become an important resource to support pregnant women in the workplace. “It is essential that pregnant women and new mothers have a safe working environment and it is worrying that so many women are encountering problems at work. The EHRC’s research should be a wake-up to politicians from all parties that urgent action is required to tackle pregnancy discrimination and I was delighted to be joined by prominent MPs from Labour and the Conservatives who attended the Maternity Action event in Westminster and pledged their support to the campaign.